Bonifacio Global City (BGC) in Taguig has come a long way, from being a military base of the U.S. government to becoming the headquarters of the Philippine Army and eventually transforming into the world-class business and residential center that it is today. With about 240 hectares of fully developed real estate land, BGC is home to some of the most prominent local and international companies holding office in the Philippines. Its strategic location, proximity to commercial establishments and reasonable office space rates make BGC an ideal spot for an office space. There’s also better access now to public transportation in and out of BGC. 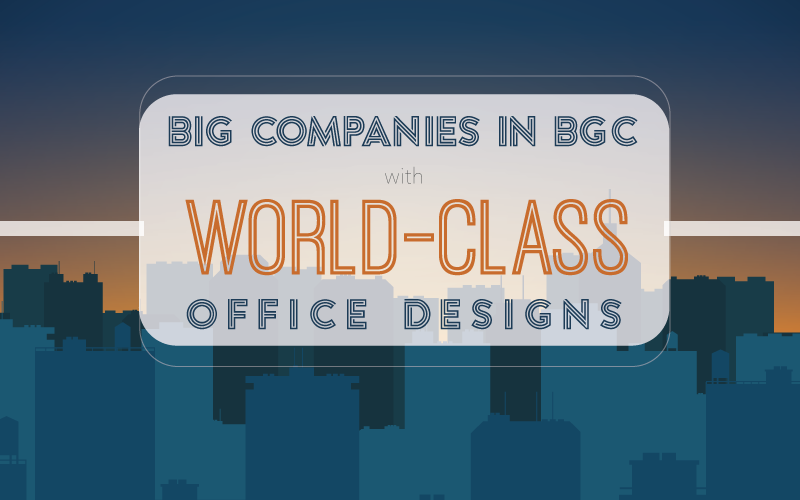 Your clients, employees and other business partners will look forward stepping into your office once you’re located in BGC and have awe-inspiring office design just like these companies that have the coolest offices located in BGC. Besides the office design trends this year, get some more office design inspirations from these organizations! The headquarters of Globe Telecom is a towering figure in BGC’s skyline. The 28-story structure certified for Leadership in Energy and Environmental Design (LEED) was designed by architectural firm Aidea Philippines with a very distinct façade featuring slanted walls. Interestingly, these walls serve as a repository for rainwater collection and irrigation of the greens surrounding the office. This high-ceilinged building has one of the tallest office lobbies in the BGC area, but it doesn’t give you the overwhelming feeling that you sometimes sense when you’re in a wide, open space. When you’re on the second-floor loft, you get a clear view of what’s going on at the lobby. For those attending company events, there’s a communal area that stands underneath the lobby, as well as a private art gallery that visitors can view. Employee workstations are located on the 9th floor all the way to the 28th floor with themed break areas on each floor and an informal space dedicated for both work collaboration and social interaction. They also have conference rooms that are named after world-famous cities and travel destinations, complete with mementos and other decorative stuff that best represent that locale. 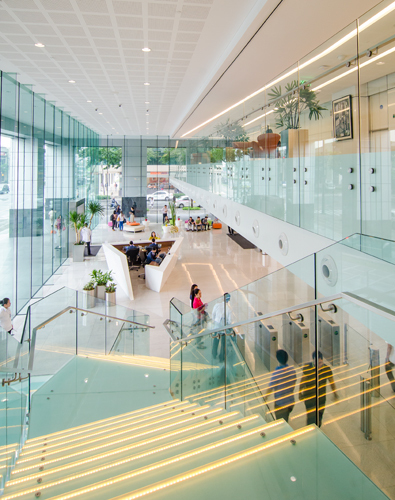 Of course, connectivity is at the heart of the Globe tower, and the telco integrates the concept in its office design. You’ll see posts decorated with icons related to mobile and internet technologies including images of SMS, phones, cameras, and the like. Globe Telecom’s headquarters also make for a one-stop shop for all the needs of its employees and visitors as it houses a service center, a fully staffed pharmacy and clinic and top-of-the-line amenities for employees. The Globe Tower is located at 32nd Street corner 7th Avenue. Prior to BGC, Google Philippines has previously held office in two other locations, but its third office space in Taguig’s premiere area is hailed as the one to really breathe life into Google’s culture – open, non-restrictive, and without borders. With its floor to ceiling windows, it seems that BGC’s landscape blends into the backdrop like a huge, multi-layered painting of sort. 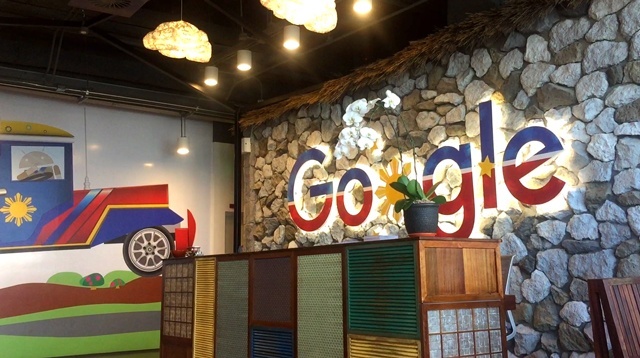 The lobby’s walls are adorned with Pinoy-themed signs such as a map of the Philippines, the three-stars-and-a-sun symbol, and the iconic local jeepney, showing the Google label. Further inside, there are few walls that do not restrict movement and interaction among Google’s employees. In fact, the biggest conference room inside Google’s headquarters named “Salu-Salo” has one side that is borderless, as it conveniently opens onto a pantry with all the familiar feels of a home kitchen. At the far end of the pantry, employees can flex their muscles and shed some pounds over a game of ping-pong, relive their passion for the hoops game looking at the ceiling adorned with basketballs, or get into a sporty mode standing next to a wall plastered with Filipino athletes’ caricature images. Google Philippines is at the Net Park Building, 5th Avenue. Migo is a company that’s into media entertainment and education. It caters to consumers who crave premium digital content but who do not have unlimited data plans or internet connectivity to let them watch their favorite TV shows, movies, and documentaries. Migo’s Imagineers – talents who work at the company – conceptualize, design, and operate the company’s proprietary end-to-end platforms to deliver digitally curated content to its customers at affordable rates. Migo’s office is tagged as Station Bravo (the Alpha counterpart is headquartered in Taiwan) and serves as a haven for its inventive Imagineers. 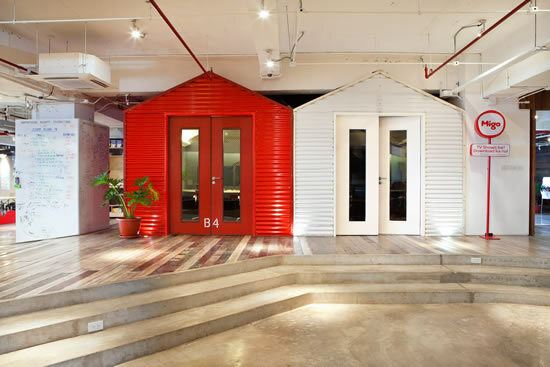 Much of the office space is designed to promote collaboration and inspire creativity among its talents. There’s a smart workspace that’s filled with tools for productivity and at the same time gives everyone who’s working on projects some chance to unwind. Migo’s is on the second floor of the Active Fun Building, 9th Avenue Corner 28th Street Bonifacio High Street. Unilever is a global brand with 90 years of fruitful business history in the Philippines. For the longest time, the company was headquartered in Paco, Manila, until the management decided to move the office to BGC. The idea was to give back to its employees for helping build the brand that Filipinos have come to love all these years. That’s why the design concept is one that promotes the well-being of everyone working in this multinational corporation – named by LinkedIn as the Most Sought-After Employer in 2014. You might not believe it, but the Unilever office has a gym, a daycare center, a salon, a meditation room, a pantry that serves unlimited coffee or tea, and a karaoke room (you didn’t see that coming, did you?)! There are co-working spaces, as well as areas that allow an open desk policy, meaning employees are free to work in any area of their liking in the office. Conference and training rooms vary from casual to executive-ish. These spaces are fitted with the latest technologies needed to facilitate communication and collaboration with local and international colleagues and partners. 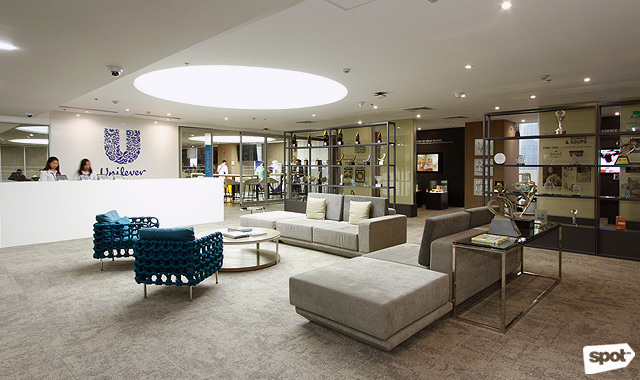 The lobby looks very welcoming and inviting with its cozy furniture and open shelves of plaques and trophies, while the Heritage Gallery chronicles Unilever’s journey into becoming one of the Philippines’ top consumer goods companies. Unilever is located on 2nd Avenue. HSBC is a major player in the banking and financial services industry, boasting approximately 38 million customers and operating in about 67 countries around the world. This financial institution has been doing business in the Philippines for more than 40 years now, with its business principles anchored on sustainable development. In terms of workplace design, HSBC’s headquarters make for a flexible, inclusive working setup for all its employees. The HSBC Center is at 3058 Fifth Avenue, West BGC. In the software-as-a-service (SaaS) industry, Zendesk stands out in providing customer care solutions to thousands of major companies worldwide, as it oversees sales and technical services and deemed the regional cornerstone for the company. 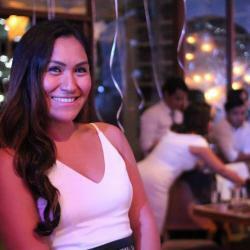 In the Philippines, Zendesk’s clients include Smart Communications, MetroDeal, and Minute Burger. Zendesk is located at Net Park, 5th Avenue. If plans push through, the Philippines will be the sixth Asian nation where social media giant Facebook is home to. This move from Facebook will be quite momentous, considering that Filipinos are one of the top users of the social media app. It also goes to prove that the Philippines, particularly BGC, has become many companies’ go-to business hub that’s on par with major business centers around the world. Indeed, BGC is the hottest place for startups and companies to take their business to. If you’re looking to move your headquarters to BGC, you might find it convenient and cost-efficient to go with an office space for lease that provides all the facilities and amenities comparable to other offices with world-class design standards. It is an amazing article. This website has lots of useful things, it helped me in many ways. Amazing website, how do you get all this info?I have read through a few posts on your site and I really enjoy your writing style. Thanks a million, keep up the great work. It is a very good post. This site has lots of interesting things, it made it easier for me in many ways. Thank you for the blog, it truly is filled with a lot of handy info. This helped me a lot.